Here are a few snaps of a ca. 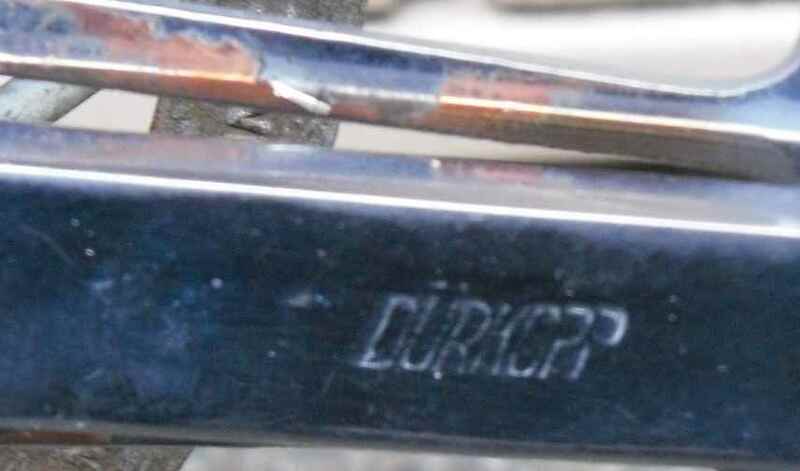 1958 Dürkopp sports, mainly to show what great frames the other two Dürkopps I have are (https://starostneradost.wordpress.com/2014/02/09/failed/ and https://starostneradost.wordpress.com/2013/09/01/blue-streak/). 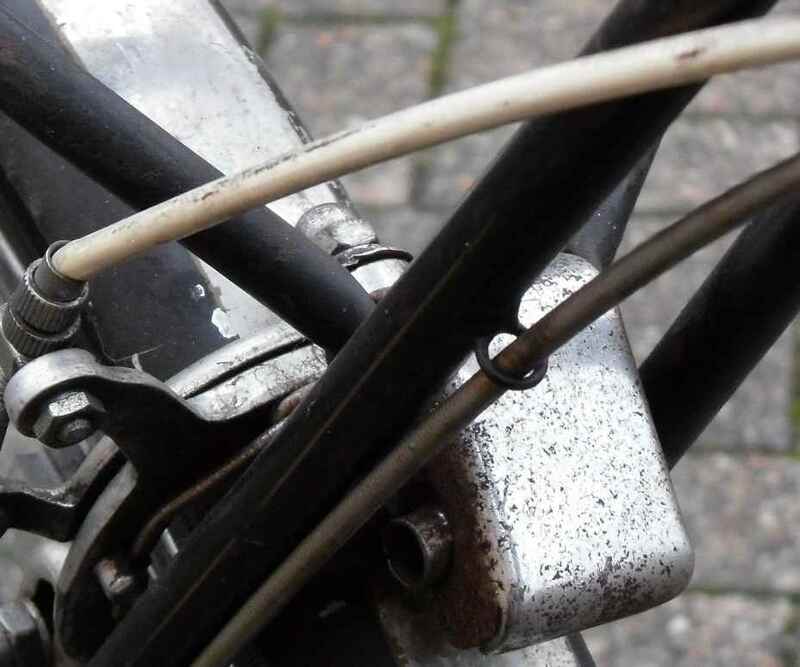 Look out for differences in the fork crowns, the chainsets and of course the braze ons – in this last point the black bike pictured below weighs in quite well because of the rings that hold the Simplex cables. 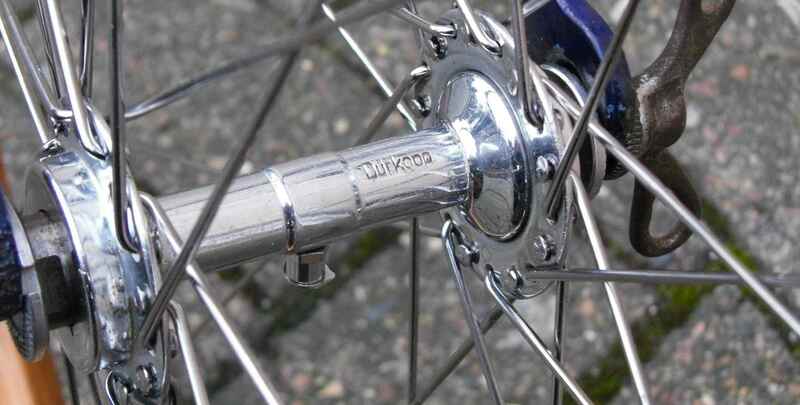 Also the beautifully lined rims are worth noting. 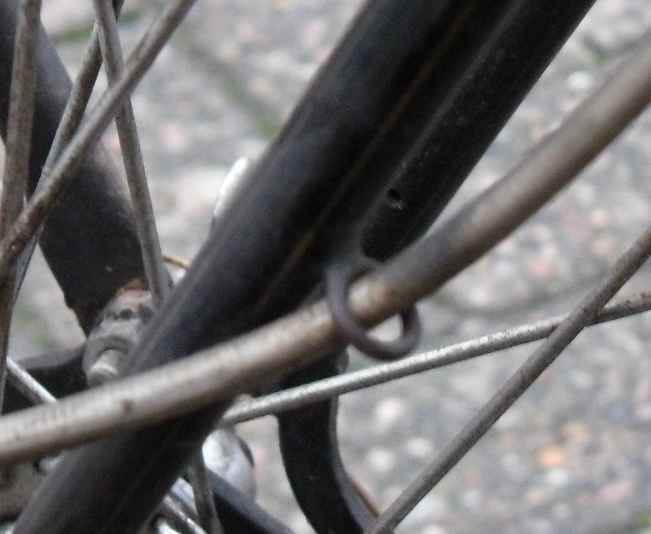 The bike pictured below was not very well kept, had a number of unoriginal parts (saddle, tyres…) and in general was not worth saving. 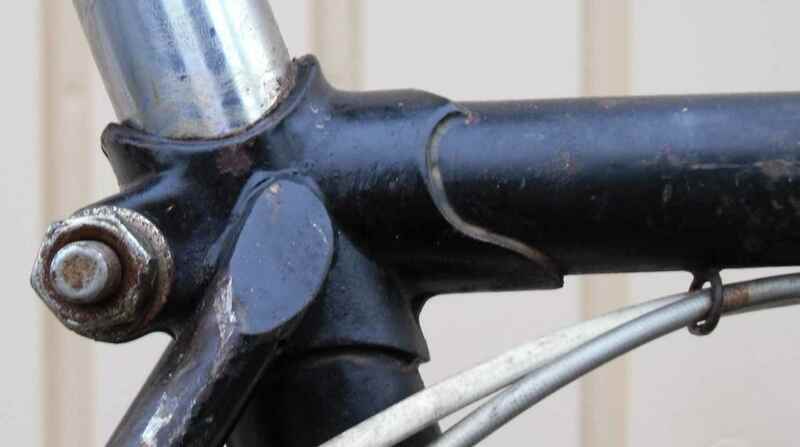 Among other problems the chainstays had been badly squashed flat by the aftermarket kickstand. 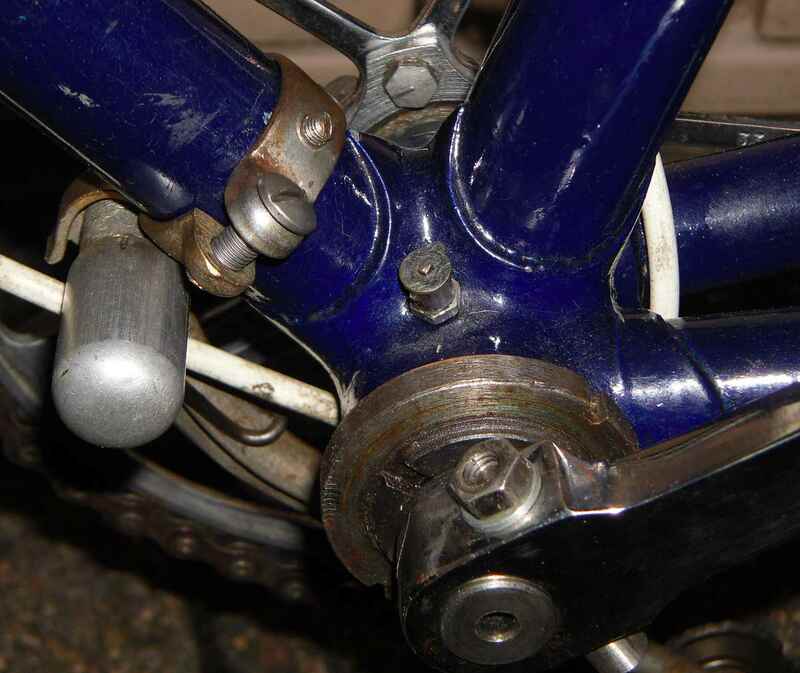 The bike has since been broken for parts and mostly been passed on – except for the rear hub of course, which will eventually find its way onto my 1950s road frame, and some other bits. 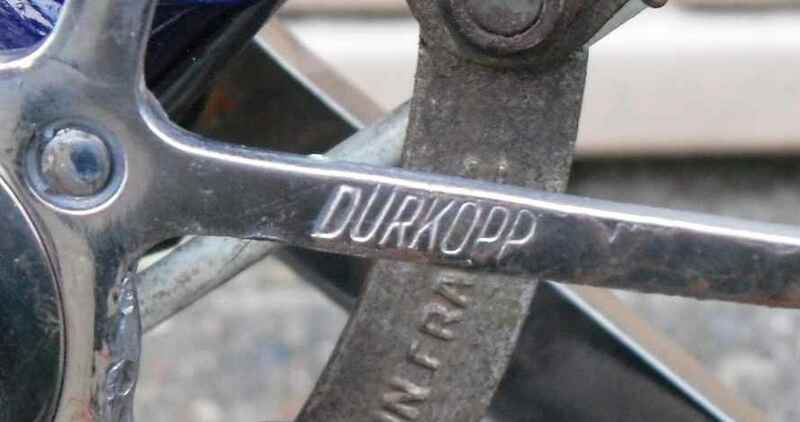 It can be safely assumed that Dürkopp had a number of high quality rear hubs left and used them up in the late fifties when the bicycle market definitively was moving from one low point to the next, so the Dürkopp rear hub (possibly made by PWB anyway) and the Union front might very well have been original. Also the black sports was rather later than the two racing frames – some of the simplifications on the black one may stem from that and not necessarily from the fact that it´s a relatively simple sports bike and not a more expensive road bike. frame late last year, relatively cheaply, too, I went for it. As it is, there´s always some bits missing, and lack of time is chronic, so I found out only today that my idea wouldn´t work. Looking at this picture I hear you say, “what´s wrong? Looks great!”, but it isn´t. 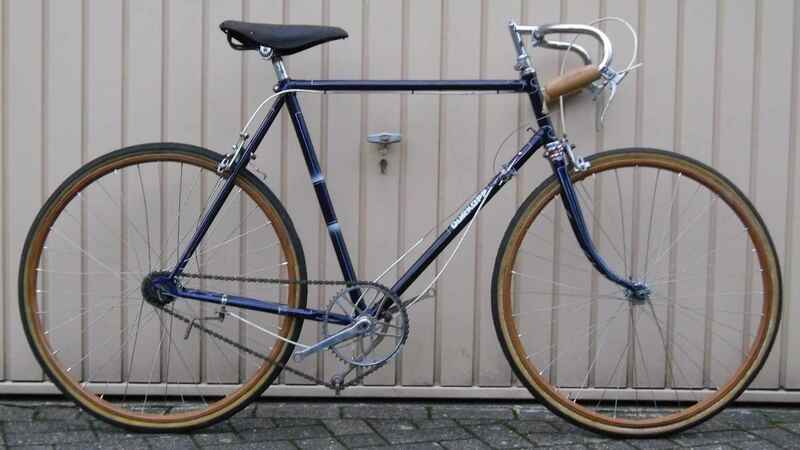 also for a German thirties frame the lugwork is rather nice. 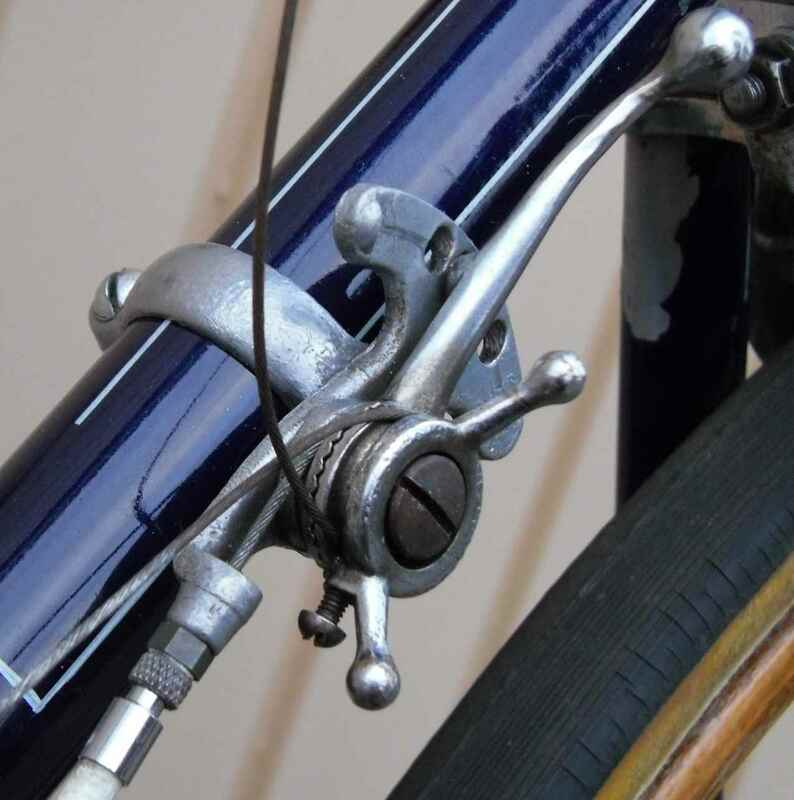 I have been told that both the lugs and the headclip are special and not usually found on comparable Dürkopps, but I´ll have to go into this. 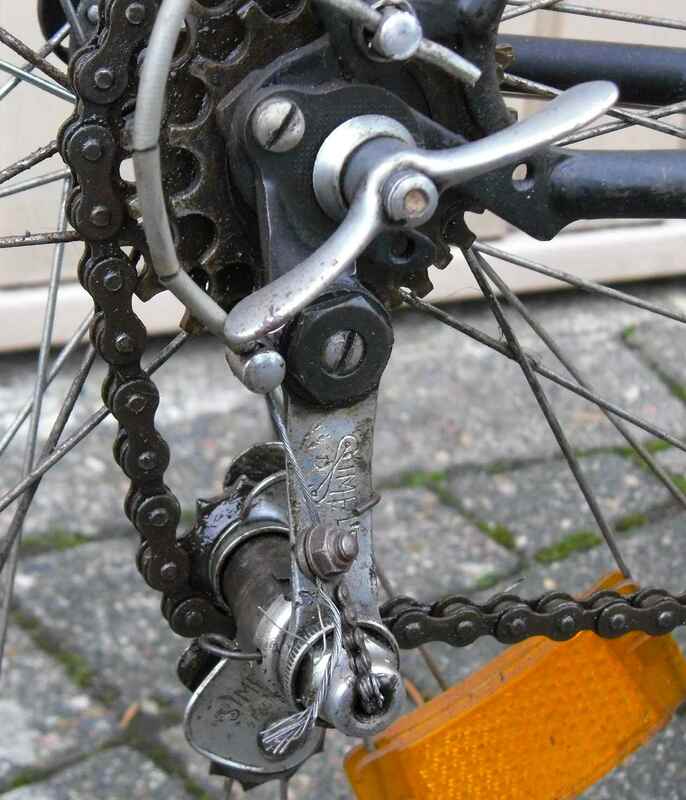 If I only knew how and where… The net isn´t exactly abounding with Dürkopp road bike info. 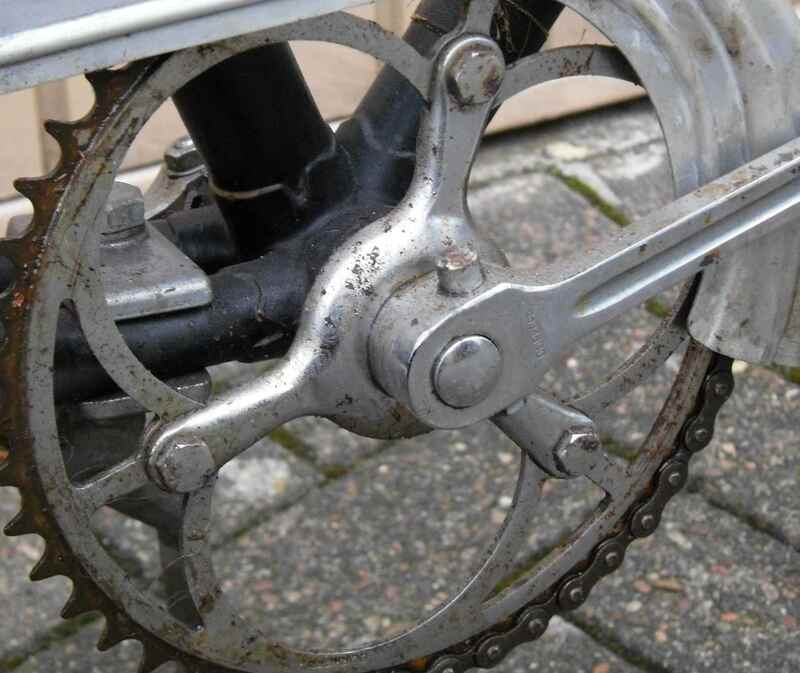 Also there´s a wonderful twin plate crown fork. 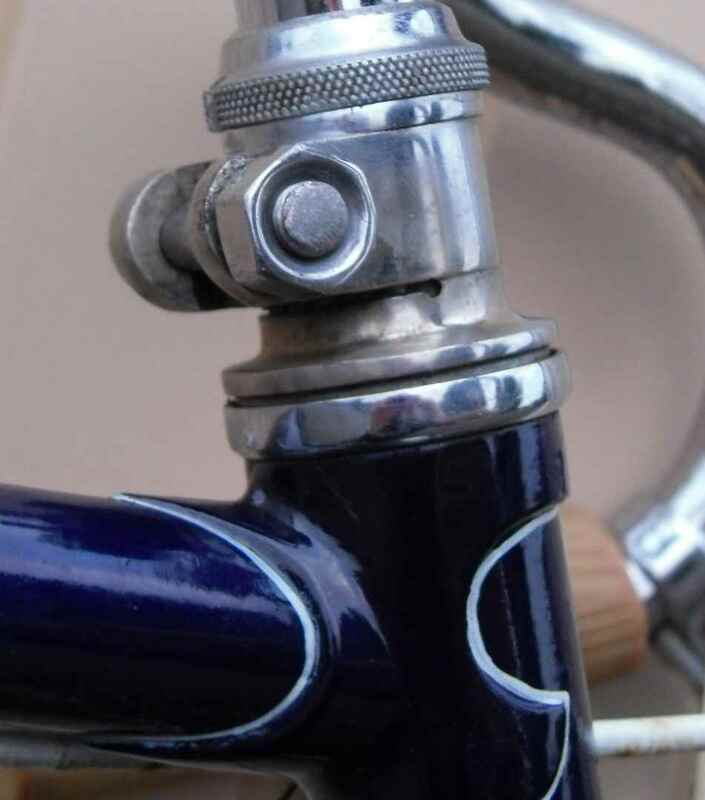 The crown is plated, something which would have been considered a great luxury in the day as in the late thirties chrome on bicycles had been forbidden by the government in order to economize on foreign imports – they were saving up for a war after all. 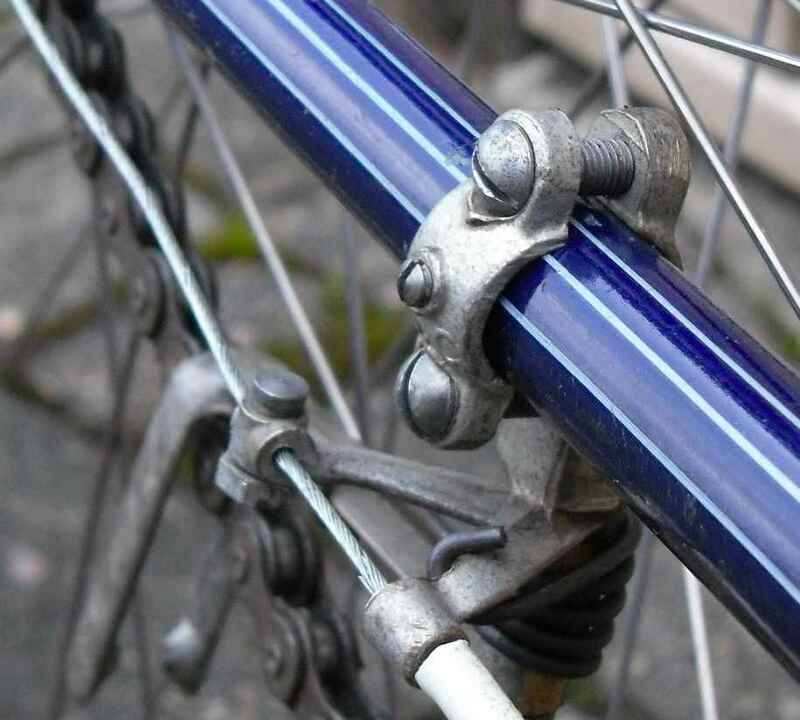 The rear dropouts are quite simple, though, but also state of the art in the thirties. Also it´s obvious why it didn´t bother me too much to fit the Osgear clips, what with the paintwork being as scratched as it is. The seat cluster looks quite OK, but not awe inspiring either. Thirties standard, I´d say. 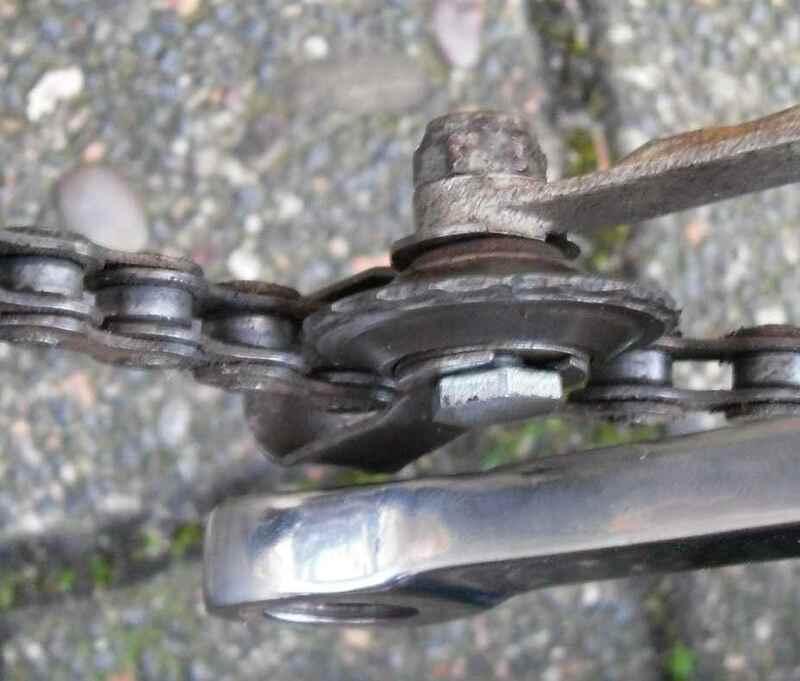 There is one relatively minor spot of bother, however: Someone has drilled holes # three and four in the brake bridge, thereby weakening it beyond its braking point, if you´ll excuse the pun. 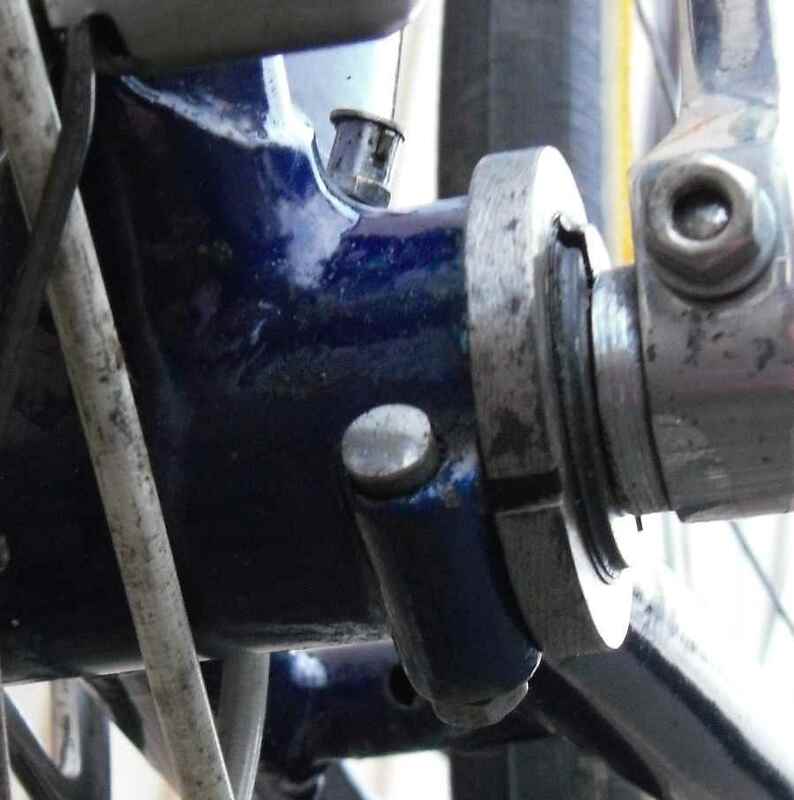 When the paint will be re-done, the brake bridge will be relatively easily replaced, though. So what with all these bits in my box, I thought I´d build the frame up nevertheless to see how it would be going. Good thing I did before spending any more money on it besides the hubs which I thought to be de rigueur. 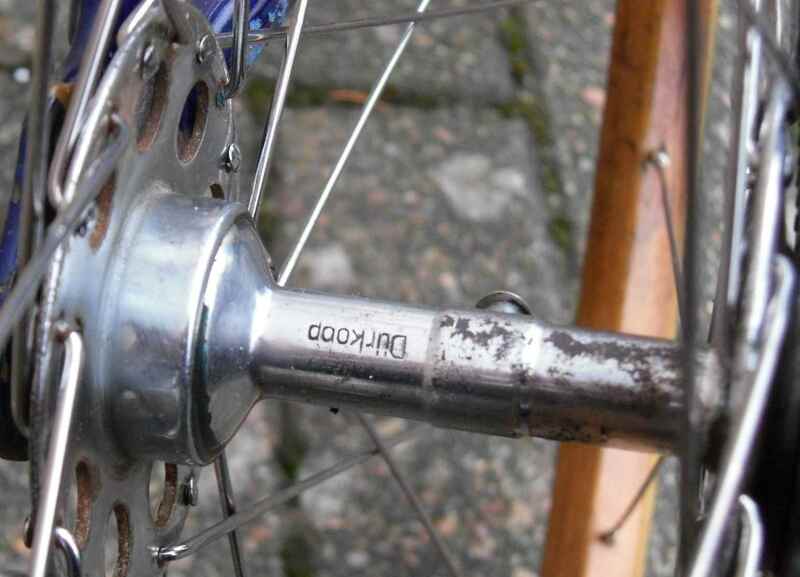 Dürkopp hubs were famous for their smooth bearings and their longevitiy – two traits that fit together. One I got off Classicrendezvous, a very nice front. The rear, not so nice but a large flange one, was bought elsewhere. 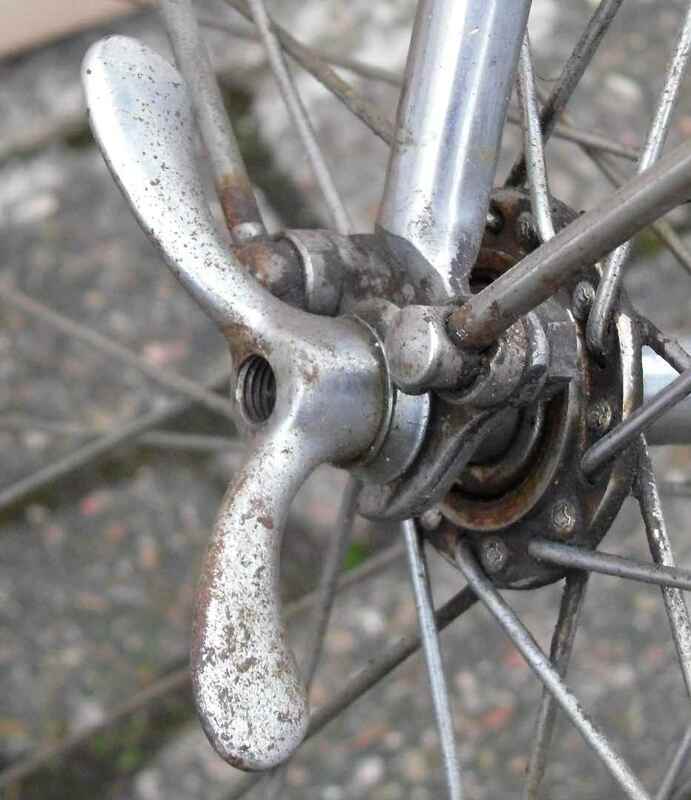 I had seen this combination before; the low flange front being lighter, what with the flanges being hefty steel, and the large flange rear giving a stronger wheel. Both were post-WWII, but I didn´t mind that at first. It´s easy to tell pre- from post-WWII Dürkopp stuff. 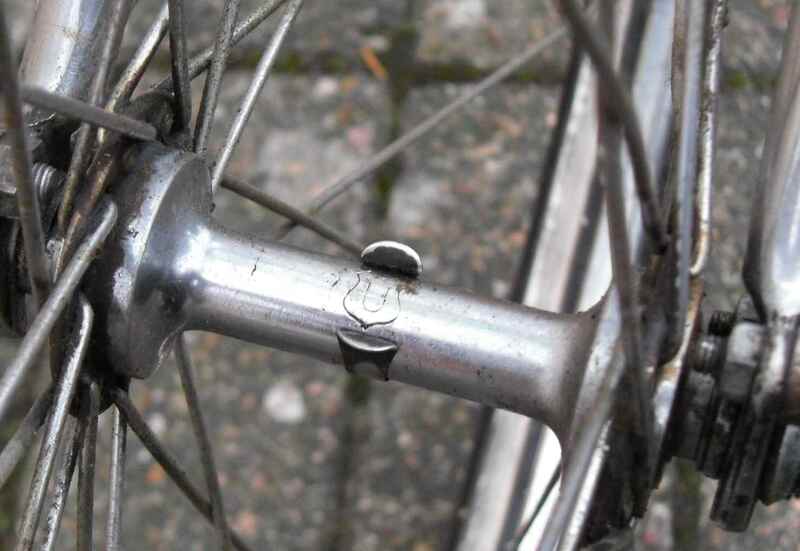 First, there´s the triangular headbadge which was used in the thirties. 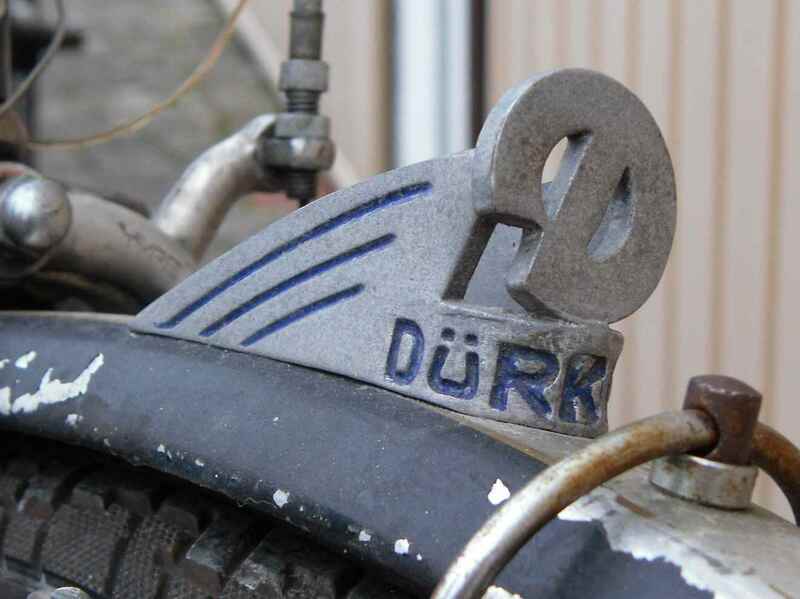 For the post-WWII headbadge see my other Dürkopp post, https://starostneradost.wordpress.com/2013/09/01/blue-streak/ . 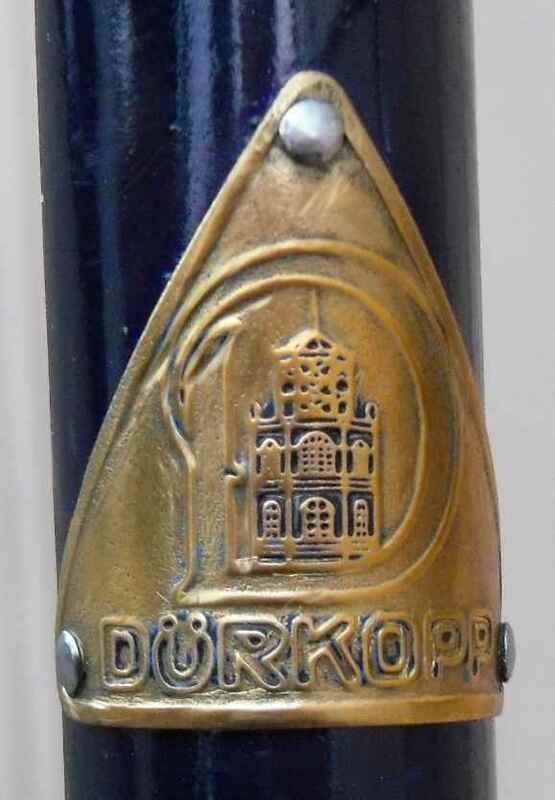 Next, the “Dürkopp” logo changed over the years. On components, pre-WWII it would look as if it were written in upper case Italics, or even in script, which is much older. On this bike, there´s all three of them. This supernice headclip bears the script logo. Perhaps they didn´t use too many of them and had a stock to use up? 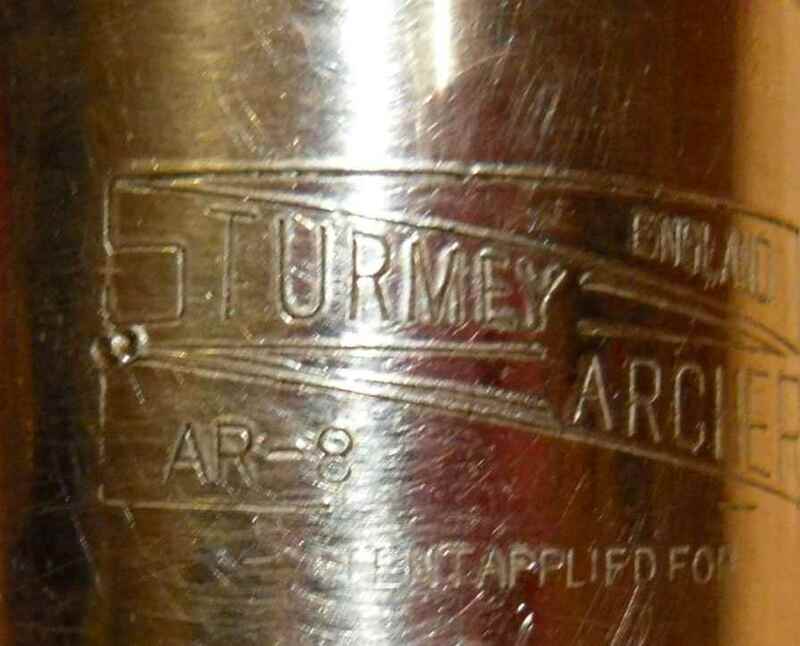 the hubs have the post-WWII logo stamped into the barrels. 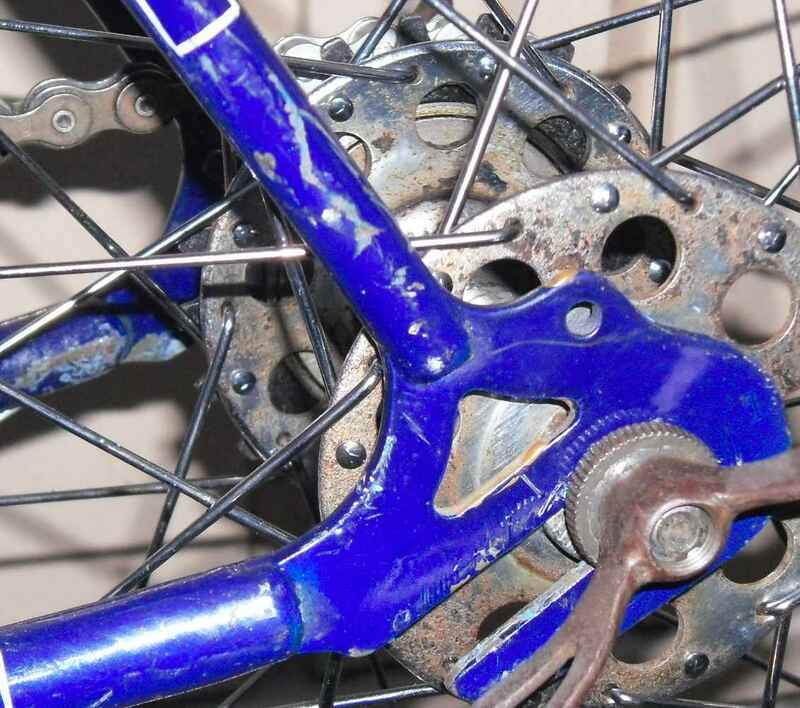 BTW, the spokes aren´t correctly tensioned yet. 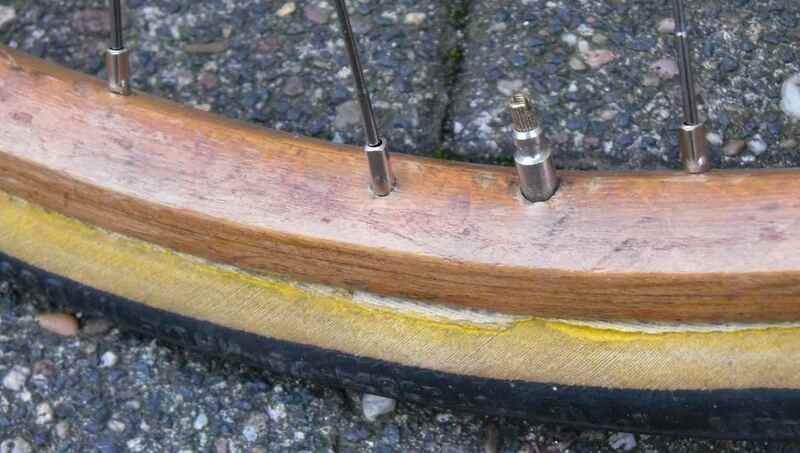 Always a bit careful with wood rims and tight spokes. The fat tires BTW are Soviet ones I´ve had for ages. Would you believe it, they still hold air. But that wasn´t all. 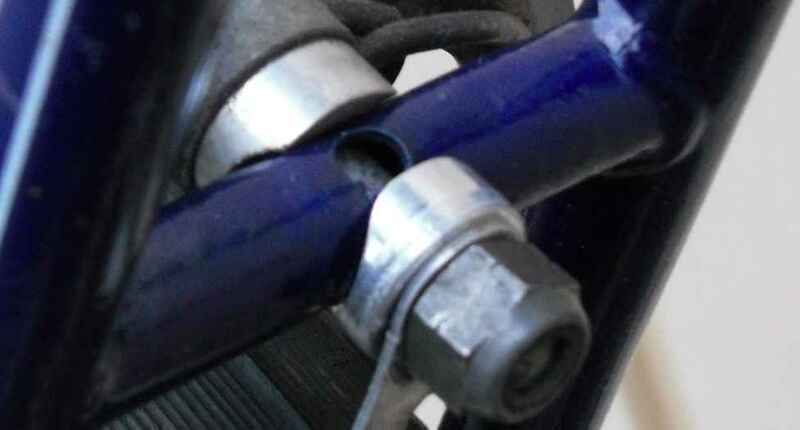 The front hub fit the post-WWII front fork like a glove, but won´t work with the pre-WWII front dropouts without some filing, which I would not like doing. 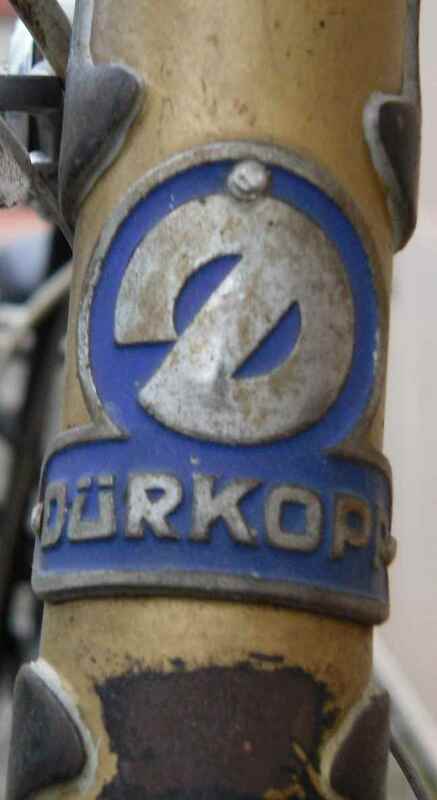 I still have the post-WWII Dürkopp road frame hanging on my wall, remember? Next, the Osgear. I have one on a ca. 1941 FW Evans which I like a lot, so I thought I would be able to repeat the pleasure. Far from it, I´m afraid to say. The reason is easy: Aftermarket. 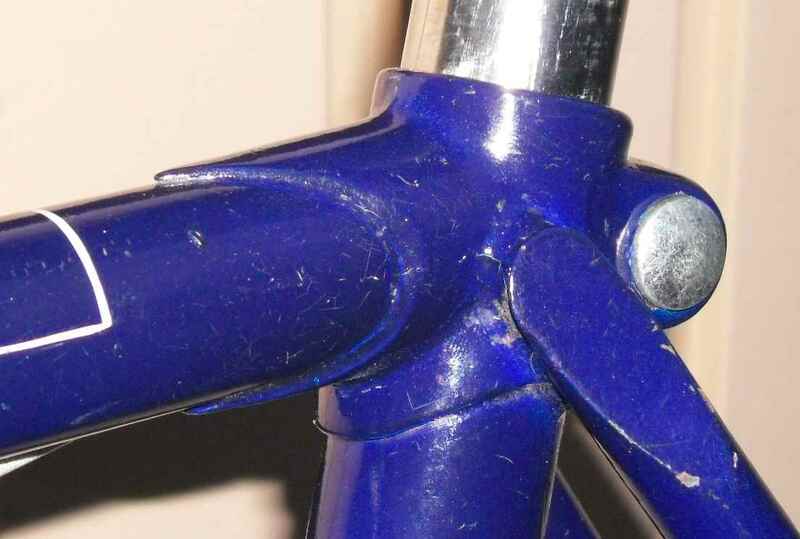 On the Evans the bike is built for the derailleur; brazed on tension arm eyelet etc. 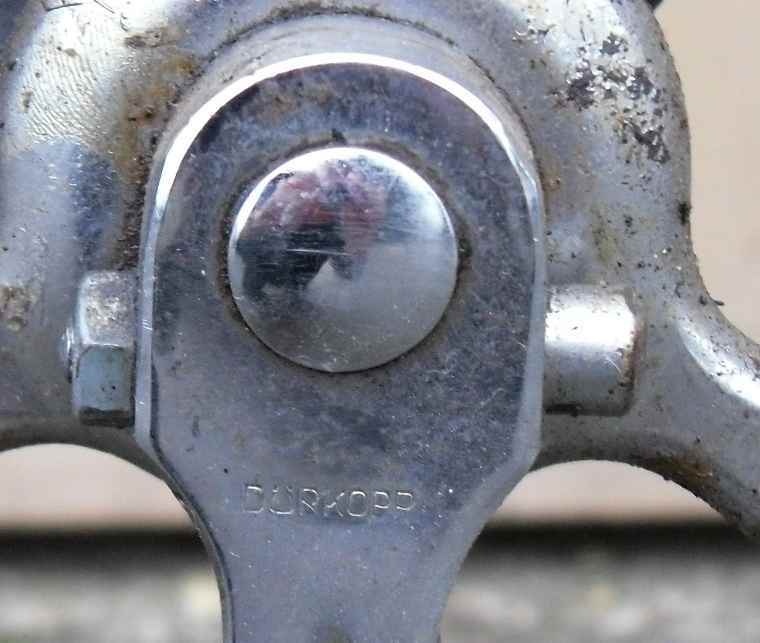 On the Dürkopp all the horrors of aftermarket fitting struck. 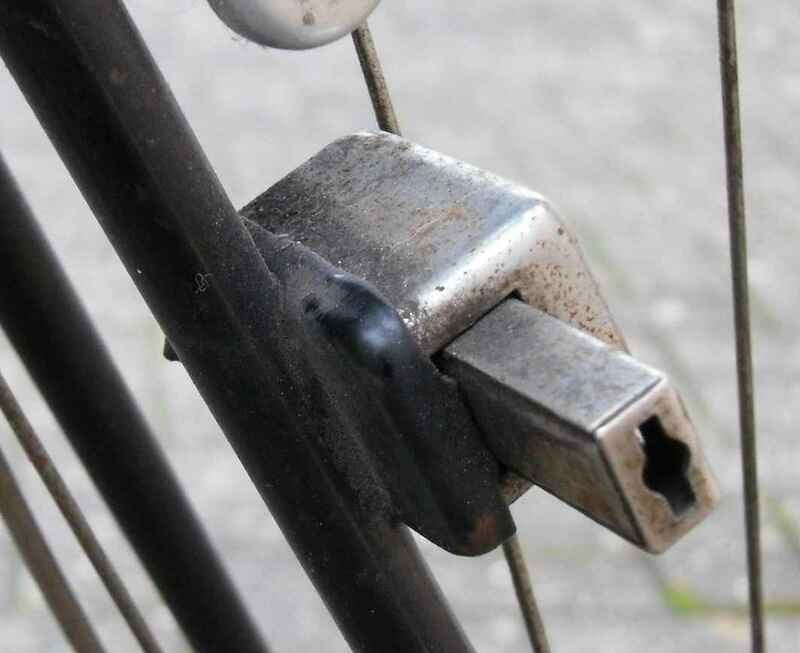 To begin with, the lever is ok.
doesn´t work well at all. 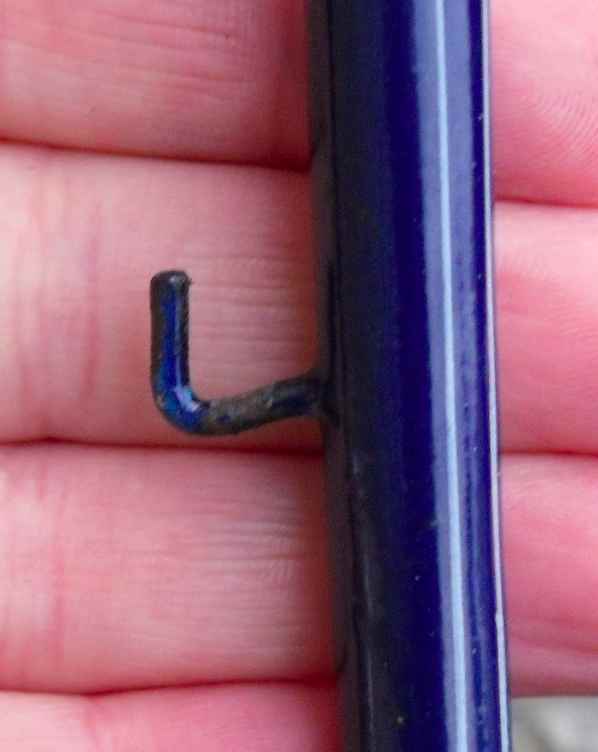 Its clip has sharp edges and a grub screw which has to be grubbed into the down tube. Yuck. 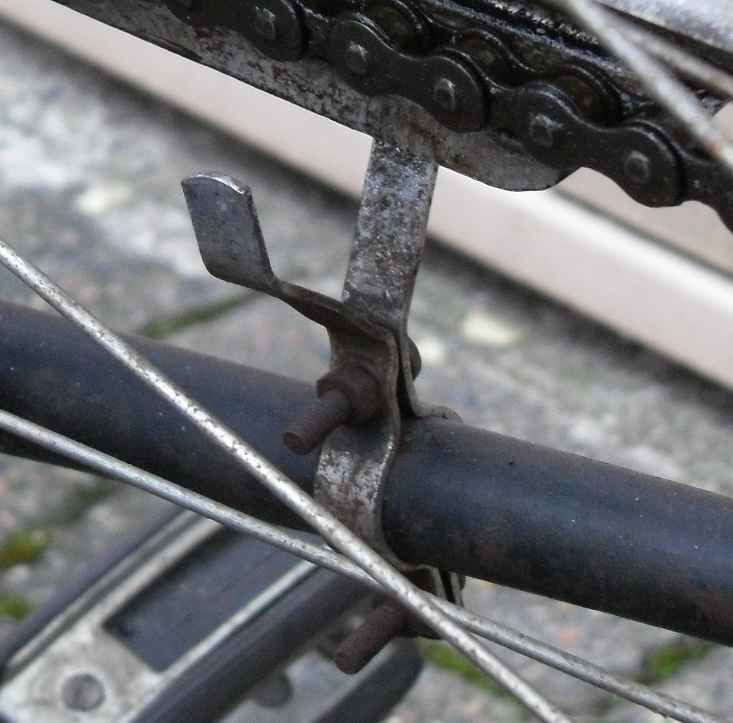 It would have to go a few cms to the front of the bike, because the chain hits the roof of the fork, but obviously the clip doesn´t allow that. 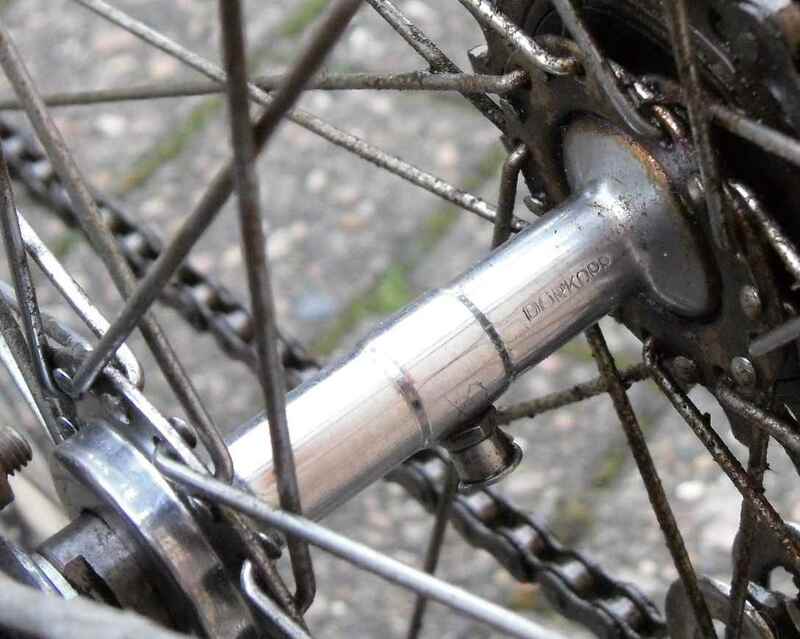 And again there´s the grub screw. 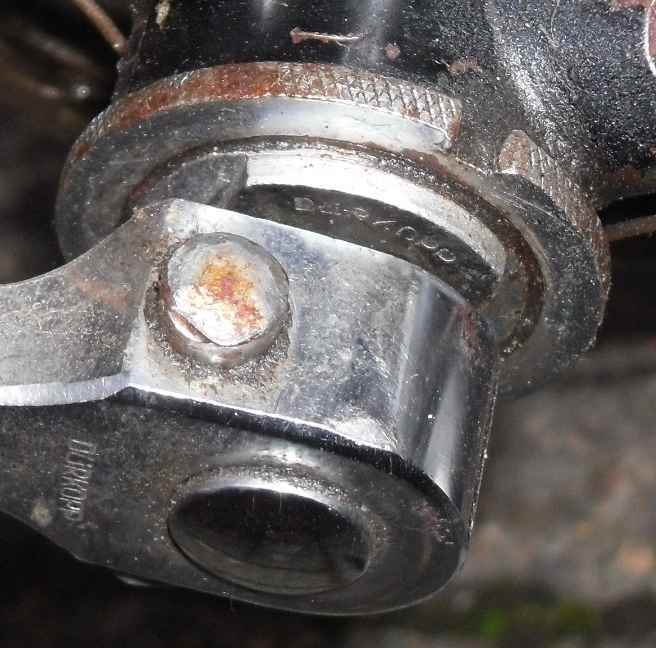 Also the gap between the crank and the tension arm end isn´t too wide, but it should be ok; on the Evans it´s even closer. 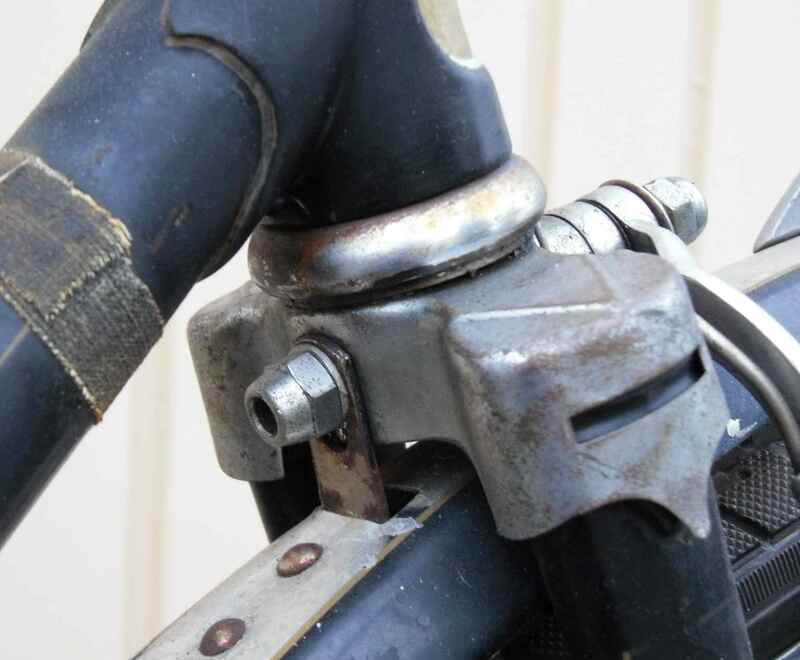 But then, the shorter braze on fitted arm has less sideplay. So what is going to happen to my beautiful Dürkopp? One thing is for sure, the Osgear will not have a future on it. 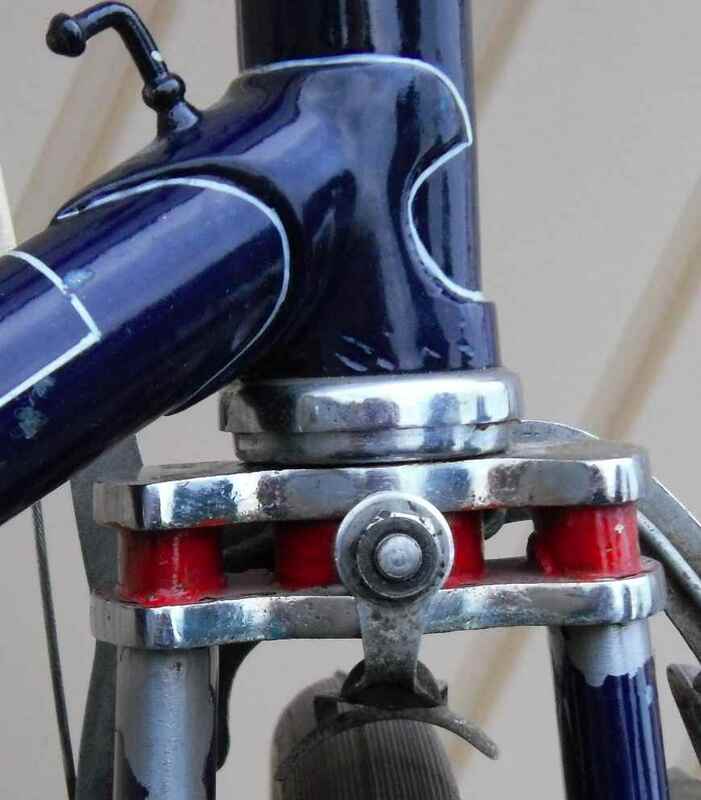 I won´t sell it, either, but I rather will take the nicer bits (some seem NOS, actually) to replace worn or unsighlty ones on the Evans. The grub screw equipped clips will be buried in my boxes forever, I hope. 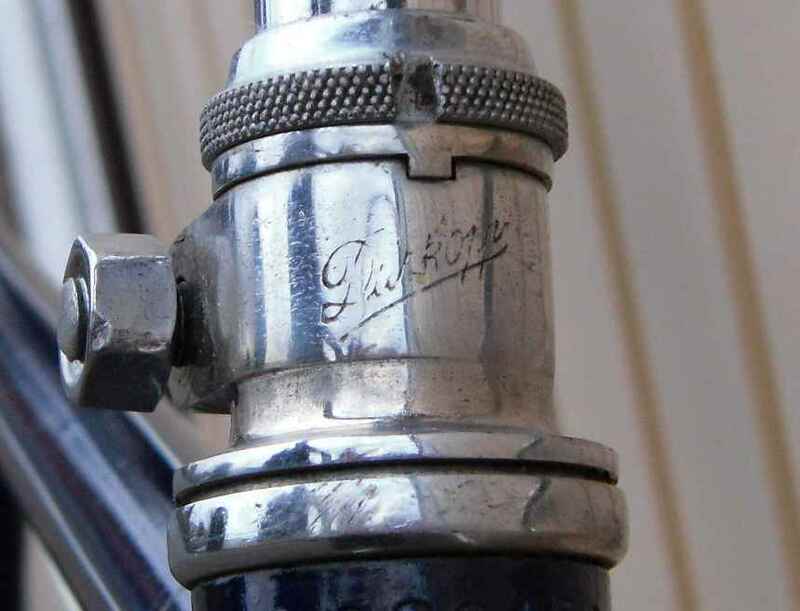 And I´ll flatly refuse to do two things: Either to have the Dürkopp on fixed, or to fit any of the heavyweight Fichtel & Sachs stuff it might have come with originally, a Renntorpedo or a dreadnought derailleur. Besides, I´d have to get hold of a set. 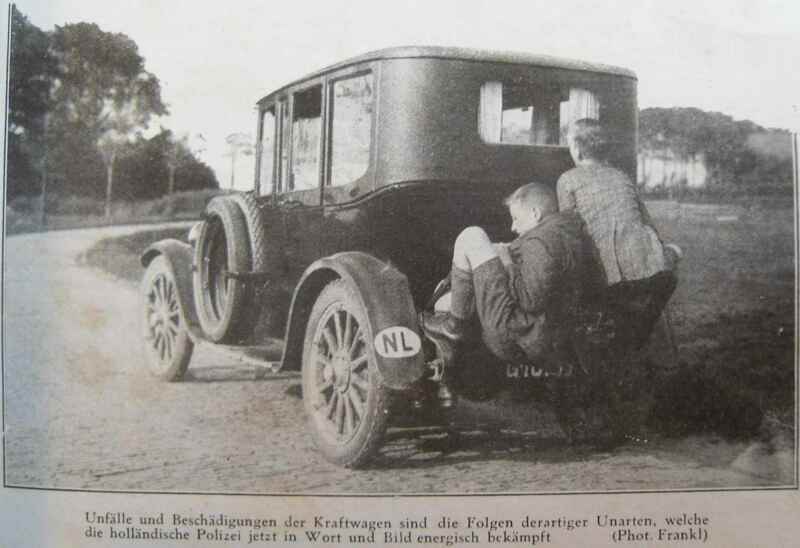 “The Gentleman Driver”, a short-lived but nevertheless interesting 1920s publication. Deutsche Nationalbibliothek lists it as having had a run from Jan 1924 to May 1928. 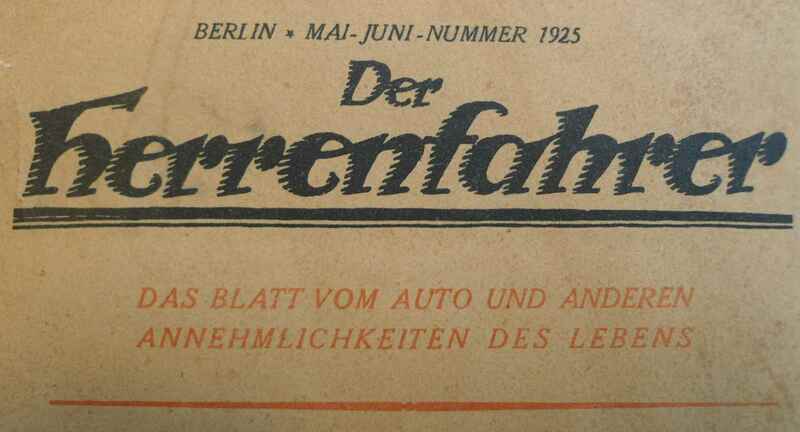 It was the official newsletter of the German Motorcycle Association MvD. Under the Title of Incorrect Behaviour the picture is captioned with a remark that even in today´s traffic, the young are becoming ever more cocky. I´d rather think that the boys are displaying a remarkable feat of mastering their cycles. 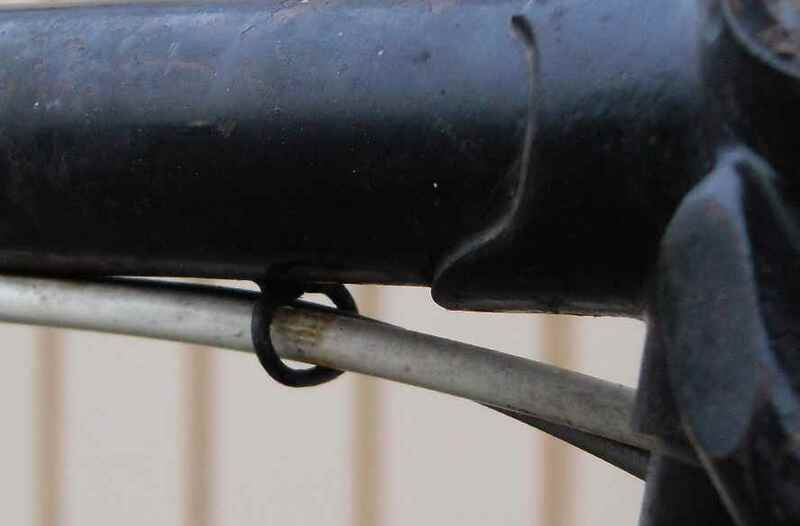 The next pic is of course completely unconnected with cycling, but rather funny. 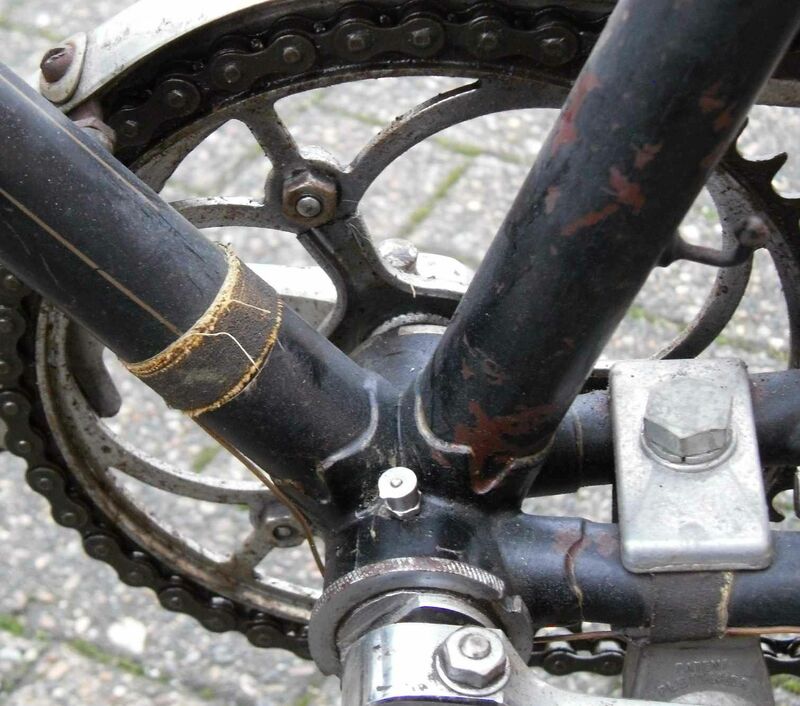 It seems that the Dutch police force were bearing down on youngsters riding in boots because they caused accidents and damage to motor vehicles. What I´m asking myself is: How did they get in? Red lights? Flagging the driver down under false pretexts? Anyway, I must try this myself next September when there will be a large veteran car meet in our neighbouring village. 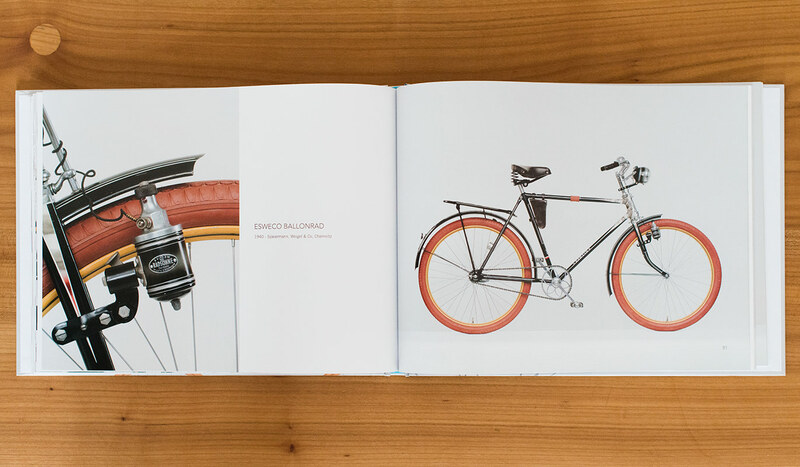 Seidel & Naumann were a firm who produced many different models of typewriters (German writer Erich Kästner used one), sewing machines, and of course bicycles. There´s books the world was waiting for, and those it hadn´t known it was. There are books that enter upon the scene with a bang, and those that prove their value quietly over time. 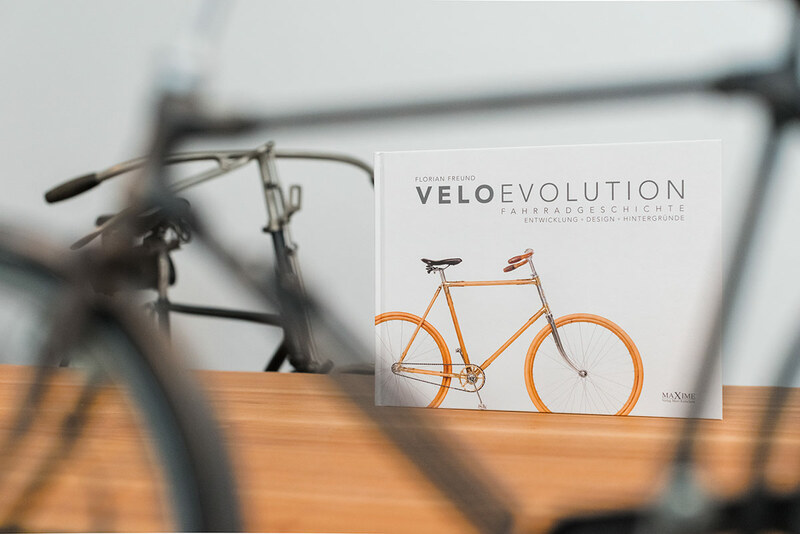 These are the characteristics of Florian Freund´s and Matthias Kielwein´s Veloevolution, all four of them. When I first scanned it I thought, well, what´s new? To begin with there are about 30 pages of very informative text. Interested in production figures of the German cycle industry over the ages? You´ll find them. The reasons behind engineering inprovements? They´re there. 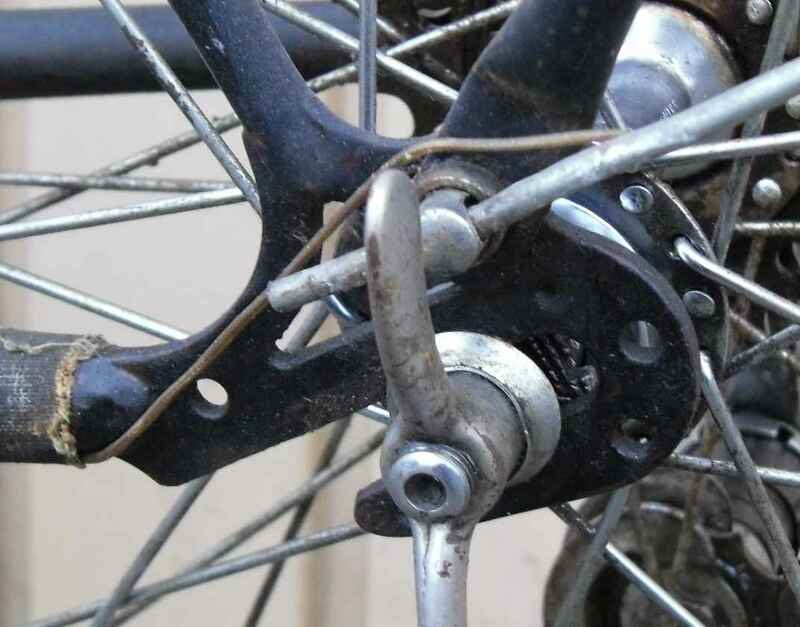 How did a certain bicycle ride a hundred or more years ago? There´s a good chance that you´ll read about it. 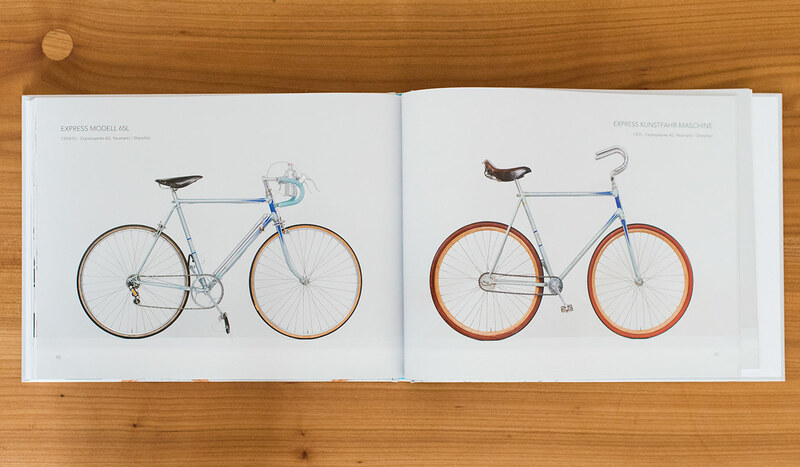 These facts will mostly be known to experienced cycle collectors, but even they will find new info, making the book well-suited even for those who have busied themselves with old bikes for years. The added advantage of Veloevolution is that you will find the most important info collected in one book, ready for mythbusting. This is something we have waited for. Also when you work through the chapters it becomes clear rather quickly that the manner in which facts are presented (chronological narrative) make the book a good read for those who aren´t experienced cycle collectors, and I think that this is true for about 99.9 percent of the population, conservative guess. 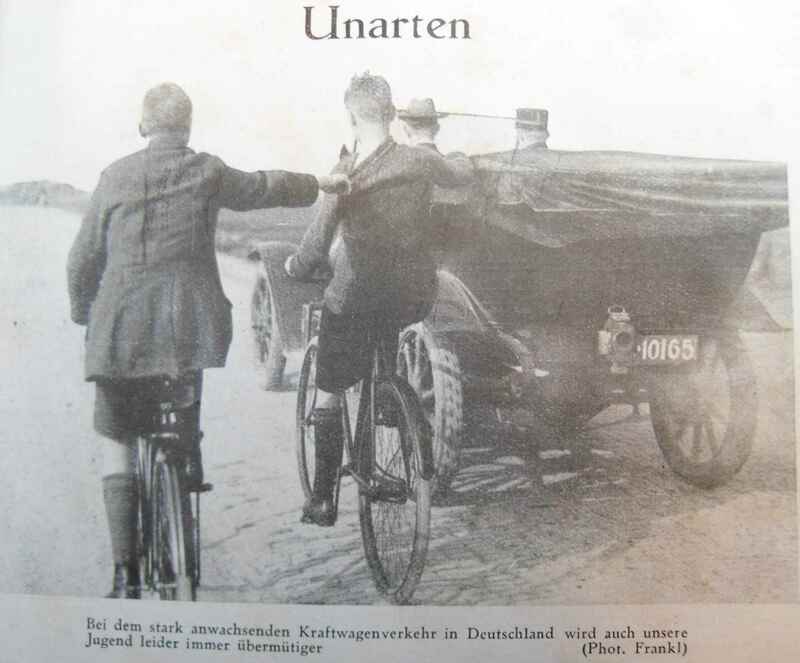 So Veloevolution can be considered to be an enjoyable introduction to German cycle history for those who are only mildly interested (yet) and who didn´t know they were waiting for the book. Also the authors are on the height of current research, and that myths that bedevil many general cycle histories (no names quoted here, for obvious reasons) are not repeated. This is not only an added bonus, but can be called essential. OK, but what about the bang? Well, the tome came in a box accompanied by a handful of colourful flyers and advertising postcards, which I imagine must be the prelude to a biggish advertising campaign. I don´t think I´ll have to explain that Veloevolution will make a long time impact, possibly as the work which will interest many people in cycle history. And, of course, there are the pictures, about 80 pages of them, 22 by 29 cms in full colour. Florian Freund is a professional photographer, and it shows. One could lose oneself in the illustrations, all taken either of original machines (there is an appendix describing every machine and its state of originality, or restoration) or perfectly restored ones. All of them are exemplary, in their special ways. They stem from the collection, now mostly disbanded, of Siegfried Stahl. 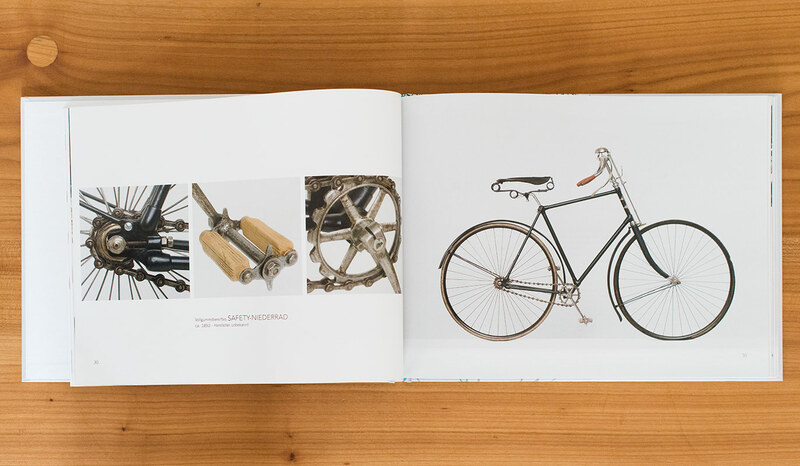 Florian and his co-author Matthias Kielwein have managed to choose, photograph and explain dozens of great bicycles, tracing mostly German cycle history from its rise in the 1880s to its demise in the 1970s, nearly ending their tale with the infamous Sprick Active Comfort and the even more so Itera. 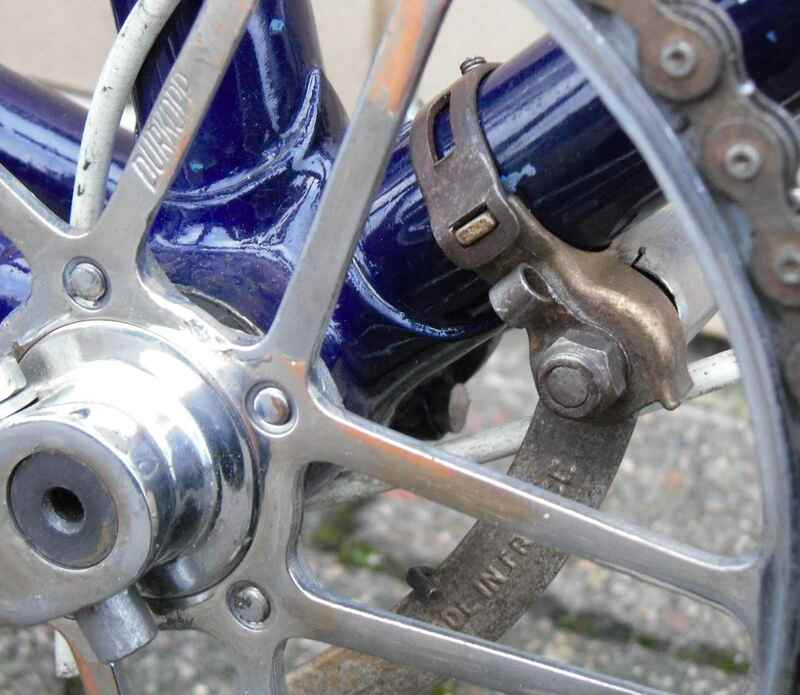 The very last bike, however, is a beautiful 1983 Cinelli SC road bike. This way the book also traces the history of cycle collecting in Germany – collectors having begun with the older bikes, when solid rubber still was affordable and restorers wouldn´t flinch to destroy even well preserved original surfaces to attain mirror like finishes, then working its way through the progressively less well made black heavies, and only recently beginning to develop an interest in the way out of collecting colourful 1950s trash by developing an interest in road and track bikes which have always been at the forefront of cycle technology in Germany, where we dearly lack the British club cycling tradition as well as French cycle culture. One could think that the pictures are the reason why the book was made, and man being a visual animal this may well be true. They will certainly help to gain the volume the popularity it deserves. 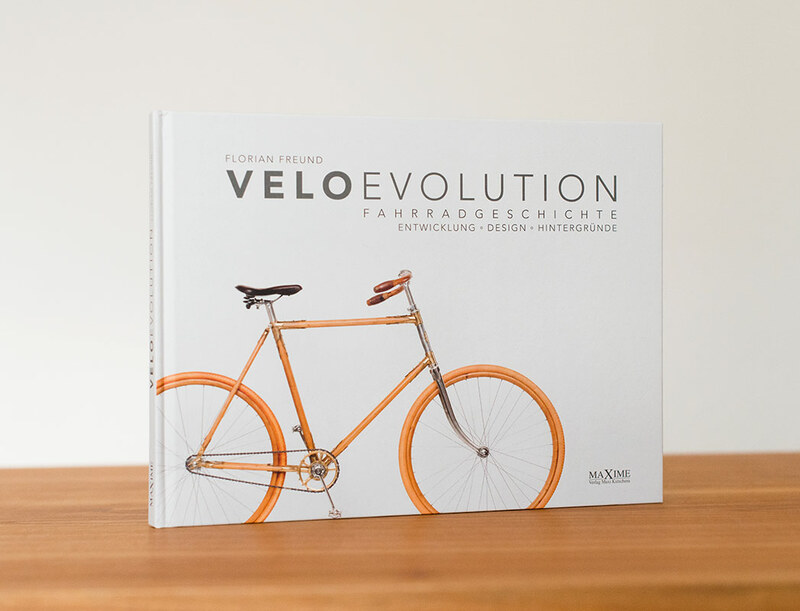 Florian Freund, Matthias Kielwein, Veloevolution, Maxime Verlag, 2014. 120 pp in full colour, hard cover, price 24.95 Euros. ISBN 978-3-931965-26-6. Obtainable direct from the publisher´s at fahrradbuch.de or in any bookshop. Out Feb. 10. Small publishers and local book shops – use them or loose them. Check out the Veloevolution Facebook page. All photos in this review are courtesy Florian Freund.